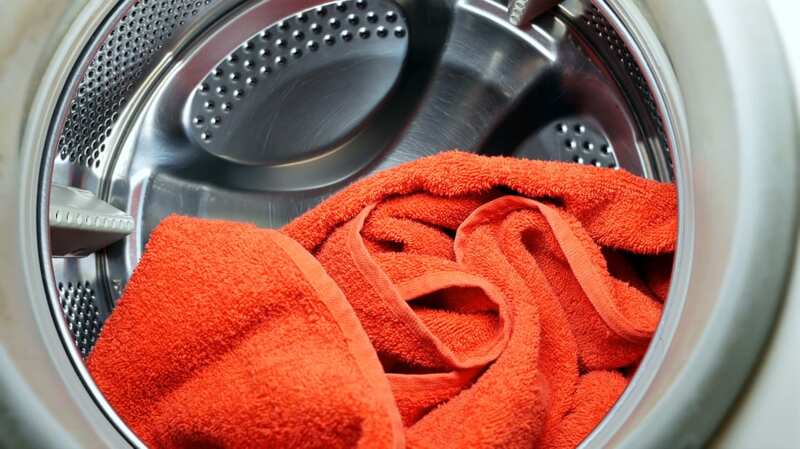 You’re probably not washing your household appliances as often as you should be. (That is, if you ever wash them.) You may think of appliances like your washer and dryer as self-cleaning, being as they’re made to, you know, clean things. But sadly, that’s not the case, as The Washington Post and Lifehacker remind us. If you really want to live your cleanest life, you should be giving your washer and dryer a once-over with bleach periodically to rid them of mold and mildew. Most dedicated laundry-doers know to clean out the lint trap before each drying cycle, but you may not realize there are other steps in the laundry appliance upkeep process. Like anything else that’s frequently subjected to moisture, washers can accumulate nasty mold and mildew. Some newer models have built-in sanitizer settings, but it’s relatively easy to clean an older washer, too. For either, you’ll need a quarter-cup of bleach, as household cleaning expert Beth McGee told The Washington Post. If you don’t have a sanitizer setting, just run the washer without clothes or detergent on the hottest setting for the largest load with the bleach. (Some cleaning obsessives recommend vinegar instead.) After the cycle is done, open the washer door and let it air dry. You can use a toothbrush to scrub the parts of the washer that the bleach won’t reach during the wash cycle, like the wells where you pour your detergent and fabric softener or the rubber seals around the door. To cut down on mildew between cleanings, leave the washer door open between laundry days, so the tub can completely dry out. When it comes to your dryer, you’ll occasionally want to not just remove buildup from the lint trap, but clean the whole dryer vent. The Spruce recommends buying a dryer-vent brush kit to do this, detaching the dryer duct from the appliance (don’t forget to unplug it first) and cleaning out the built-up handfuls of lint. You’ll also need a skinny vacuum head to vacuum out the compartment that houses the lint trap. Doing this periodically can help reduce the risk of fire, so it’s about more than just keeping your clothes smelling fresh. Most experts recommend cleaning your washer and your dryer once a month to keep both your clothes and your appliances smelling their best. And while we’re on the subject of frequent cleanings, we’d like to remind you that you probably need to wash your hand towels ... like, now.